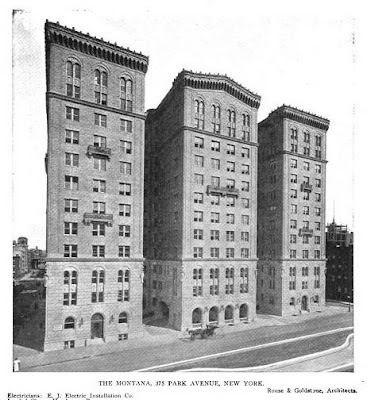 The Montana Apartments designed by Rouse & Goldstone c. 1912 at 375 Park Avenue in New York City. The building replaced the Steinway piano factory located on the site. The Montana was sold in 1951 to The Seagram Company and was demolished and replaced with their c. 1956 Ludwig Mies van der Rohe designed Seagram Building. 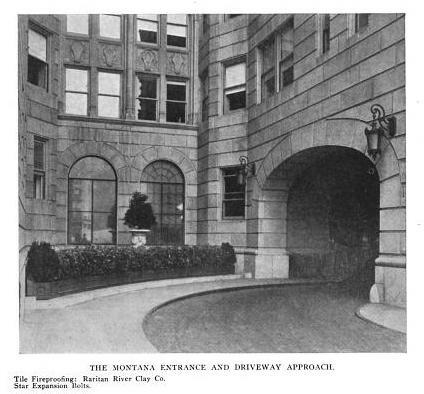 In this case the Montana Apartments had an interesting entrance hall and covered driveway, but the landmark Seagram Building (and the beautiful Lever Bros. Building across the street from it) were monumental and ground breaking glass office towers that re-wrote the architectural conventions of the day. Unfortunately since those glass facades broke through the endless row of masonry apartments and hotels on Park Ave, their many poorly designed and inferior copies of curtainwall boxes have ruined most cities ever since. Sad but true. Imitation is not always the sincerest form of flattery. Thank you so much for posting these pictures! My grandmother told me that she had grown up in NYC, but it was only very recently that I found out she had lived in this building. What a gift to get a glimpse into her early life...thanks again. 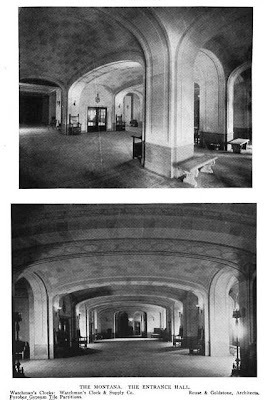 My mother spent many of her early years here. Hard to believe. 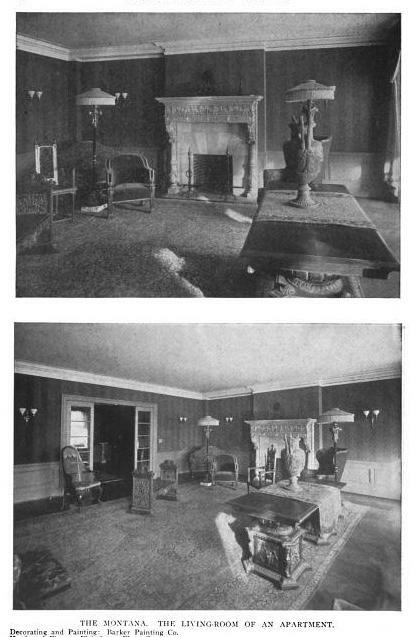 Her father and stepmother both died in here, a month apart, in 1937. Great wealth. Great tragedy. (I am zaftiguous' mother.) Thank you for posting these photos. My Grand father Arthur Goodwin Humphrey lived in The Montana. 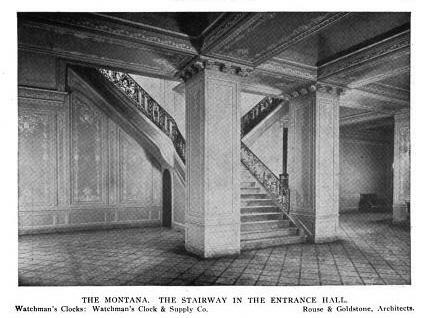 It's my understanding that the Montana was sold in 1951 and that the Seagram building was built on the site circa 1956. I have come across a reference to someone living at 375 Park Avenue in 1956. Could the building have still been in existence then as a habitable dwelling? Does anyone have an idea how someone could be living at that address in 1956?